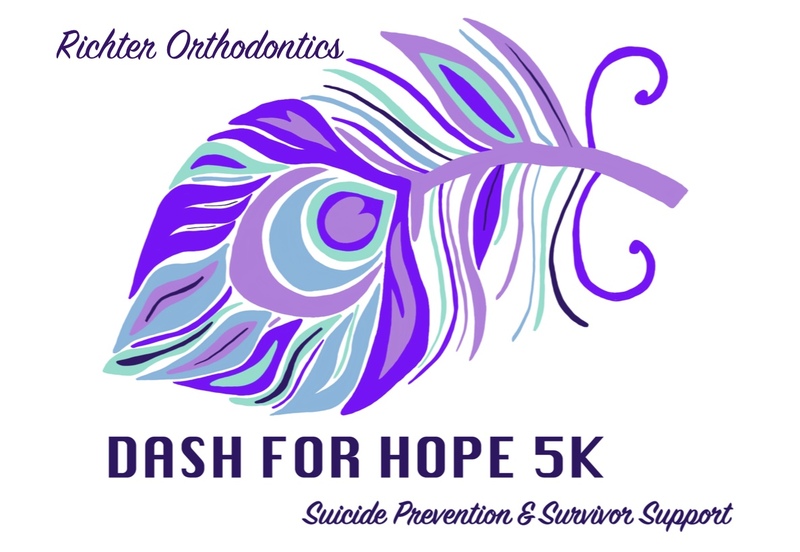 5K community run to raise funds to help support local non profits specializing in suicide prevention and survivor support. Come for the race, prizes, snacks, and other fun activities! Richter Orthodontics has been highly impacted by the silent epidemic of suicide. Over the past year we have mourned the loss of some of our patients, some of our patient’s parents, some of our team member’s cousins or nephews. These tragedies have struck us to our core so we took some time to reflect. At the beginning of 2018 we set a goal to create an impactful community event for Greeley. The more we began to plan, the more we felt the pull to give back to non profits that help with suicide prevention, and survivor support. With this in mind, we found Community Grief Center of Greeley which focuses on the grieving process for family and friends left in the wake of losing a loved one. We felt that it was also important to work with a foundation that also does suicide prevention. The Jason Foundation was brought to our attention as they have an outstanding educational approach to facing this issue head on. After several meetings with both non profits, Dr. Richter felt it was best to donate all of the proceeds to both these groups. This is our first year holding this 5K race. We are so excited to be able reach out to our Greeley community as well as Northern Colorado to participate in this event. We have over 2,140 Facebook followers, and an email list with over 1000 contacts. We will also be placing ads on the Community Grief Centers and Jason Foundation Facebook pages with a combined following of over 20,000 followers. We will be placing local ads, as well as distributing 500 printed flyers. If you choose to have a booth at our even you will also have the chance to personally reach out to the community and promote your company. We offer multiple levels of sponsorship as well as customizable marketing opportunities depending on specific needs. Our sponsorship level form is attached.